The trend and need for international expansion of organizations brings challenges to most Payroll Leaders across the world in ensuring a streamlined Payroll process across borders. In a survey carried out by the Global Payroll Association answered by Payroll leaders, one of the top three challenges faced by international and in-country payroll professionals was lack of knowledge about local legislation and requirements. Payroll leaders are required to keep up to date with payroll legislation around the world either via their payroll provider or by their own esteem. Not having the knowledge of different countries legislation can cause serious consequences to their organization. Another area is globally mobile employees. There is a massive increase in not only employees going on assignments/secondments but short term business visitors. Organisations need to ensure they are globally compliant in every country and understand their liabilities in each country where they have a presence. Having this responsibility and due to the potential fines, this indeed makes the payroll function a high-profile function in organizations slowly moving from an operational to a strategic driver. 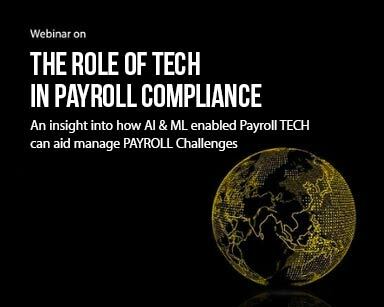 In this Webinar, Payroll experts from PwC, Ramco, GPA & Groupon discussed the top tips on Payroll Compliance & Technology.